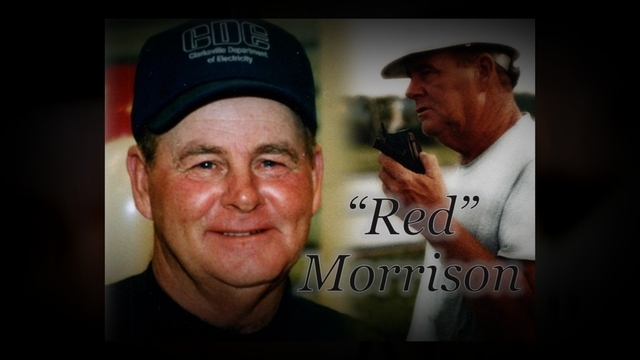 Provide comfort for the family of Richard "Red" Morrison,Jr. with a meaningful gesture of sympathy. Richard "Red" Bailey Morrison, Jr., age 72, of Clarksville, passed away on Wednesday, November 28, 2018 at his residence. A Celebration of Life will be held at 11 a.m. Monday, December 3, 2018 at the chapel of McReynolds-Nave & Larson Funeral Home. Burial will follow at Hickory Point United Methodist Church Cemetery. The Morrison family will receive friends Sunday, December 2, 2018 from 4 to 8 p.m. and again on Monday, from 9 a.m. until the hour of service at the funeral home. Richard entered into this life on November 18, 1946, in Montgomery County, TN to the late Richard and Nancy Yarbrough Morrison, Sr. He enjoyed living and working on the farm, and fishing. Richard was a foreman for CDE and was employed there for fifty years. He loved quality time with his family, his work family, and his beloved dog, Rowdy. In addition to his parents, he is preceded in death by his sister, Marianne Dyce. Survivors include his loving wife, Wanda Sue Rye Morrison; children, Chadd (Lisa) and Chris Morrison, and Malinda Morrison; grandchildren, Josh Shelby, Morgan Shelby, and Kourtni Morrison; step children, Daniel Blessing, and David Blessing; great-grandchildren, Bayley Shelby, Jackson Shelby, and Waylan Banks, step grandchildren, Lucas Blessing, Laney Blessing, Brantly Blessing, and Adley Blessing, and mother-in-law, Vergie Rye. Pallbearers will be Josh Shelby, Bryan Dyce, Bill Jennings, Chuck Dowdy, Russell Harris, Terry Cook, Larry Waynick, and Darrell Holt. To send flowers in memory of Richard "Red" Bailey Morrison,Jr., please visit our Heartfelt Sympathies Store. We encourage you to share your most beloved memories of Richard "Red" here, so that the family and other loved ones can always see it. You can upload cherished photographs, or share your favorite stories, and can even comment on those shared by others.